I would like to have more information on this soundtrack. Usual compilation, new songs,........old unreleased material,...... is there any person who can send more information? Well, I don't understand this. Maybe someone know, but I would not buy this as an official TD release. No info on this on the Voices in the Net website either. Nothing more than another bootleg,which uses the TD name,to sell. I saw this yesterday on eBay and immediately dismissed it. It's a shame that those who are not "in the know" with TDs body of work could fall for a scam like this. It angers me and I wish I could do something about it. On the second photo you can see, that this is again a release by "Orange records" who already released the very doubtful "Soldier"-OST. So I think, the music on this CD might be from Tangerine Dream, but again just some kind of compilation from other material. Those Orange Records boots are amusing. Isn't that the same cover art used for the Metropolis rock soundtrack that featured a couple tracks by Giorgio Moroder? I wonder what kind of music is on this release. I see. I'm not much into movies, so I had never heard about it. Just found out it was a very old movie, so I could not understand the 1984 soundtrack. You provided the answer to that. 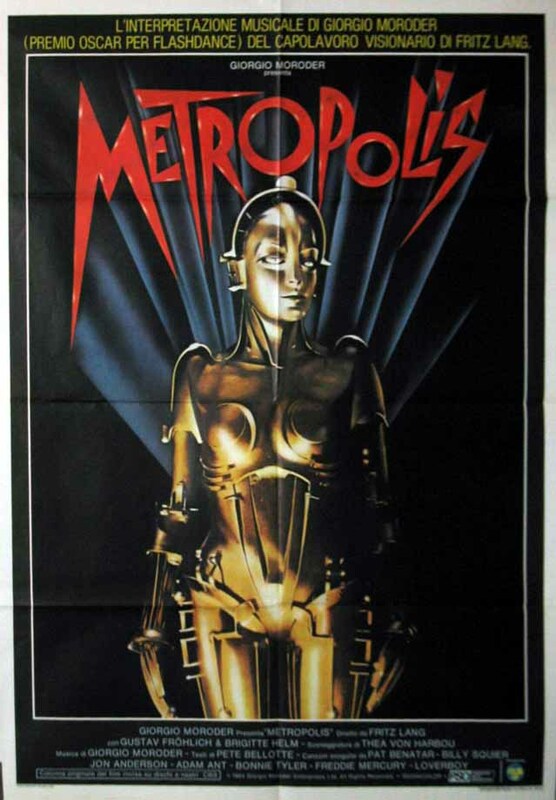 I have Metropolis Poetry, but actually I did not know what this Fritz Lang movie mentioned on the cover was. Regarding this so called TD soundtrack; the track titles are not any TD titles I know. I tried search for a couple of them on Voices in the Net. So I too wonder what music is on this. Isn't that the same cover art used for the Metropolis rock soundtrack that featured a couple tracks by Giorgio Moroder? ...And I too wonder what music has been used. Obviously the titles have no connection to any proper TD track. I may be totally wrong of course. I'll have to see into this.. The track times on that CD cover add up to nearly 90 minutes of music, but the ebay listing doesn't say anything about it being 2 discs. The possibility of it being actually PPM's Metropolis Poetry does seem to be the most likely, but whoever made it must have padded it out with additional music from other sources. The last boot The Soldiier was one disc and strangley ran at just under 90 minutes. Older players will struggle to play this and I thought any more than 81 minutes would be impossible. I have a leonard Cohen boot that also runs just under 90 minutes on one disc. Plays fine too.